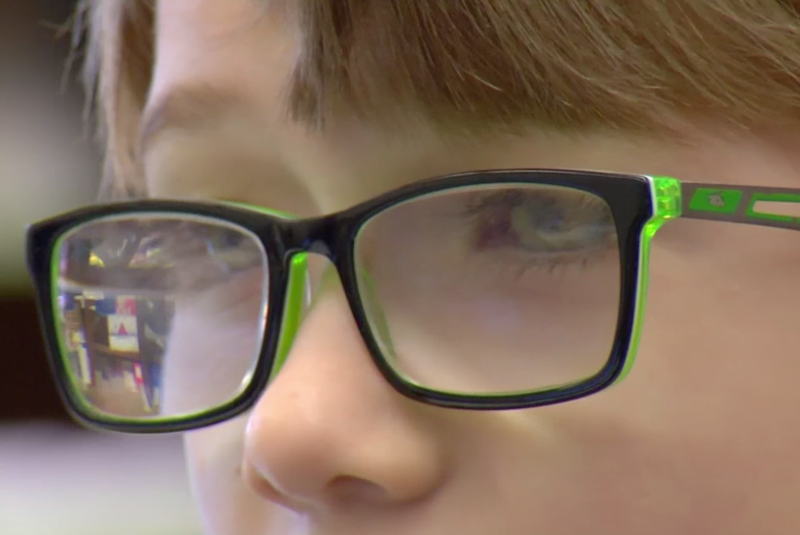 Glasses are a high commodity for students at the Louisiana School for the Visually Impaired. However, when a student loses or breaks their glasses, they can go months without their only means of sight. Now, engineering students at Louisiana State University have developed an inexpensive way for them to get their sight back quickly. For these visually impaired students, their glasses are a critical tool to help them see the world. But when they lose them or break them, their world can be unclear for a while. “A lot of these kids don’t have the financial stability to be able to go and buy a $100-$200 pair of glasses tomorrow,” explained April Gaydos an engineering student at LSU. But engineering students at LSU are looking to change that. With help from a 3D printer, they are devising a way to be able to scan students’ glasses and then print out copies. So when a student breaks their glasses, they’ll be able to get a temporary frame quickly. But glasses aren’t the only thing these women are helping students with. “Speaking to different classrooms about the aspect of engineering as well as performing hands-on activities with the students,” said Heather Lavender, the Education Coordinator at LSU’s Consortium for Innovation in Manufacturing & Materials. Some of the students from the School for the Visually Impaired will be trained on how to create the glasses themselves using the printer, giving them early experience in the stem field. Allowing people to see their bright future. The training will start by the end of this year and the LSU students hope to take this project nationwide. The project is part of a grant from the National Science Foundation.